Let your family and friends know the order of your rustic themed wedding with our Rustic Wedding Programs. 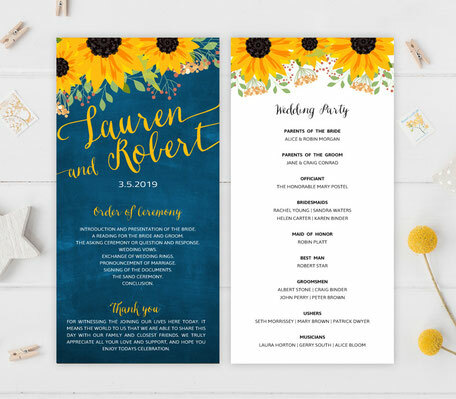 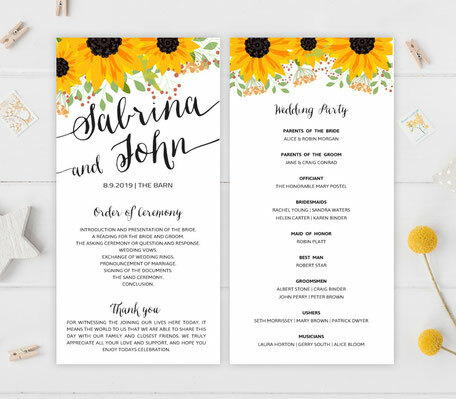 Decorated with yellow sunflowers, our programs will let your guests know the order of your ceremony along with a brief thank you section and the names of the wedding party. 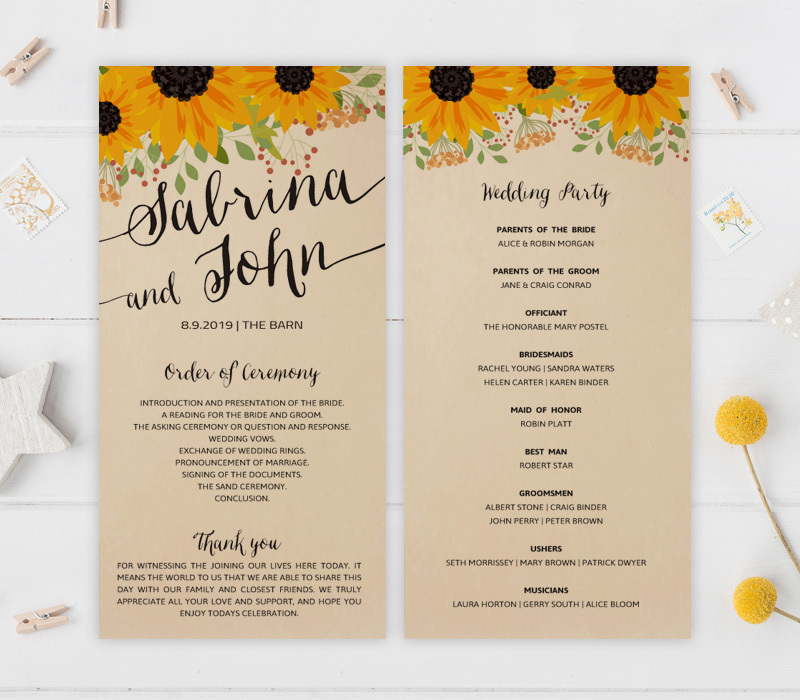 Plus, these rustic programs are printed on premium kraft card stock.